When it comes to European cruises, we’re speaking of a whole new way of looking at the cruise industry. Whether we’re talking about a Mediterranean cruise, a Nile cruise or a Danube cruise, a European cruise is usually longer, more culturally significant and, of course, much more expensive than the typical Caribbean cruise. The $1000 and up fares usually act as psychological barriers: if you’re willing to pay all this money for a one week cruise, it means that you’re looking for much more than sunbathing on a crowded deck. Around the lovely Mediterranean Sea one can encounter the most picturesque cities (Nice, Venice, Barcelona), explore the remains of Europe’s greatest civilizations and, why not, get more of those irresistible Mediterranean dishes. The good news is that, if time doesn’t represent a priority for you, it is quite possible to find a Mediterranean cruise that is under $1000. A good example would be the Norwegian Cruise Lines journey through the Western Mediterranean, departing the port of Barcelona in November 2010, which is now available from $499. Or you could try the same line’s sail through Venice and the Eastern Mediterranean (inside cabin starting at $649). 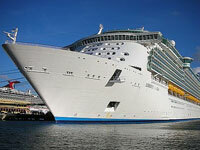 Form similar offers, check out cruisecritic.com‘s deals section. This entry was posted on Tuesday, March 23rd, 2010 at 7:29 am and is filed under Cruise Deals. You can follow any responses to this entry through the RSS 2.0 feed. You can leave a response, or trackback from your own site.